Welcome to Shabbat Social, a movement igniting the passion and pride of millennial Jews who seek meaningful connection and a new spin on the timeless tradition of Shabbat. Our exclusive and unique Shabbat dinners and events are fun, engaging and full of surprises. Our generation deserves a Friday night celebration where we can unwind, laugh, be inspired and connect. Shabbat Social is a movement igniting the passion and pride of millennial Jews who seek meaningful connection and a new spin on the timeless tradition of Shabbat. Our exclusive and unique Shabbat dinners and events are fun, engaging and full of surprises. Shabbat Social brings together cool, Jewish crowds in sophisticated settings to explore their faith and each other. Shabbat has never been this exciting and of the moment. 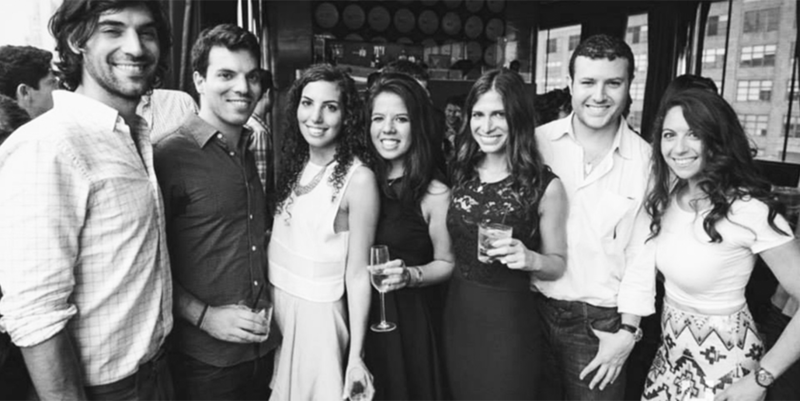 By creating stylish events that are accessible to all, regardless of observance level and independent of any affiliation, we offer young, Jewish men and women a new way to meet. Shabbat Social is where it happens. Shabbat Social believes in Shabbat as a social practice and cornerstone of Judaism for our generation. By showing Millennials that Shabbat is a social event – a time to celebrate, meet new people and connect with friends – we ignite a collective passion for a timeless tradition. There is no better place to meet than at the Shabbat table where Jews have been fostering community and building connections for ages. Shabbat Social believes in the evolution of tradition. We are not just bringing Shabbat to life, but also empowering a new generation of Jewish leaders who themselves can offer a memorable, irresistible Shabbat experience to young Jews across the globe. In our hands, Shabbat takes on a whole new meaning. Shabbat Social has a vision for the future that includes Jews of all backgrounds enjoying a fun and social Shabbat together. You'll find quality networking opportunities, the enticing nature of a night out, and most importantly, the content experience of your Jewish heritage. Shabbat Social is a community of Jewish men and women in our 20’s and early 30’s that are passionate about creating new ways to experience Shabbat. Our members are curious, smart and savvy, the kind of people who seek connection with others like themselves for meaningful conversation and fun. From the banker to hipster, lawyer to fashionista, and artist to writer, our Shabbat Dinners and events and bring together the ‘who’s who’ of Millennial Jews, and support those fast becoming the important thought leaders, trendsetters, entrepreneurs and innovators of our time. We are interesting, eclectic, passionate, driven, and purpose-fueled individuals from various backgrounds who are reigniting our Jewish faith through a Shabbat that feels more like a best friend’s party than an age-old custom. The vibe is cool, the connections are genuine and the people are inspiring. Whether inside a gorgeous village brownstone or cool SoHo warehouse space, this is Shabbat Dinner like you’ve never experienced before. The night begins with a cocktail hour in an elegantly decorated room and is followed by a multi-course Kosher dinner. There will be rituals that evoke a sense of pride in our traditions, including Kiddish, HaMotzi, and a short Dvar Torah. Beyond the usual customs, a Shabbat Social dinner is nothing short of theatrical. Whether inspired by a current Off-Broadway production, 1920s flappers theme, or the latest in Asian fusion cuisine, the experience is as unique, special and forward-thinking as our guests, who are hand chosen by our selection committee. Think of us as Shabbat 2.0 (or the trendiest Shabbat your Bubbe has ever seen). Our generation deserves a Friday night celebration where we can unwind, laugh, be inspired and connect. When I was a little girl, Shabbat was a little, ahem, borrrring. (I once fell asleep face first in my kugel, but don’t tell your mom that.) Now, thanks to Shabbat Social, Shabbat is cooooool and…who knows…you may even meet your beshert! These dinners and events can get a teensy bit pricey, so you have it in your heart to give a donation, I would fill up with joy. We are a non-profit organization, after all.